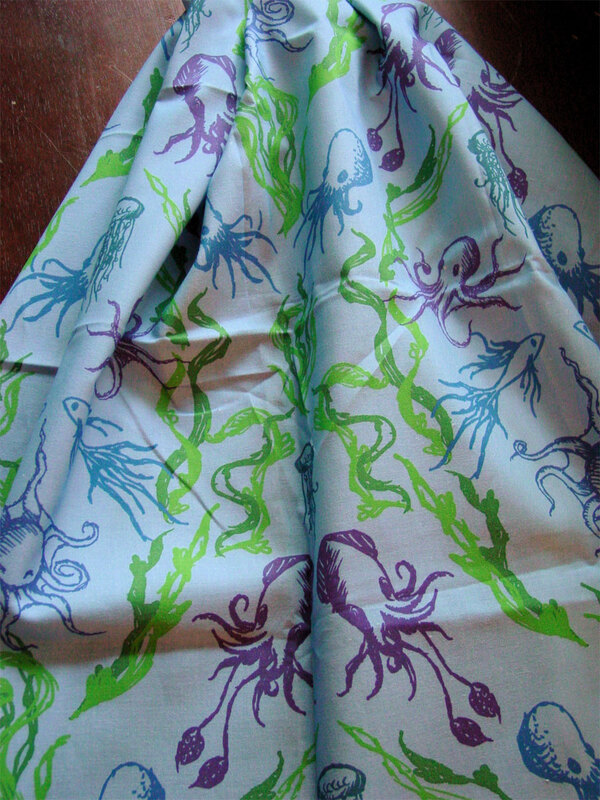 Dance of the Octopi – Fabric! You may remember a while back I posted a design called Dance of the Octopi and contemplated how it would make good wallpaper or fabric pattern? Well, I’ve finally gotten around to putting it up on Spoonflower for sale! You can see my little sample above, which is a fat quarter of unironed quilting weight (I don’t own an iron, haha) gathered into a pretty swath for the photo. OMG I LOVE IT! I’m trying to think what I would want made out of it. Curtains? Pillows? Pajama pants also sound like an awesome idea. It’s just so fun. I’m keeping this in mind when I (hopefully) move soon! 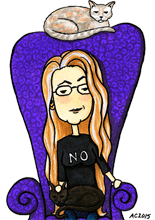 Actually, curtains would probably show off the pseudo-Victorian feel of the overall pattern really well. Possibilities!